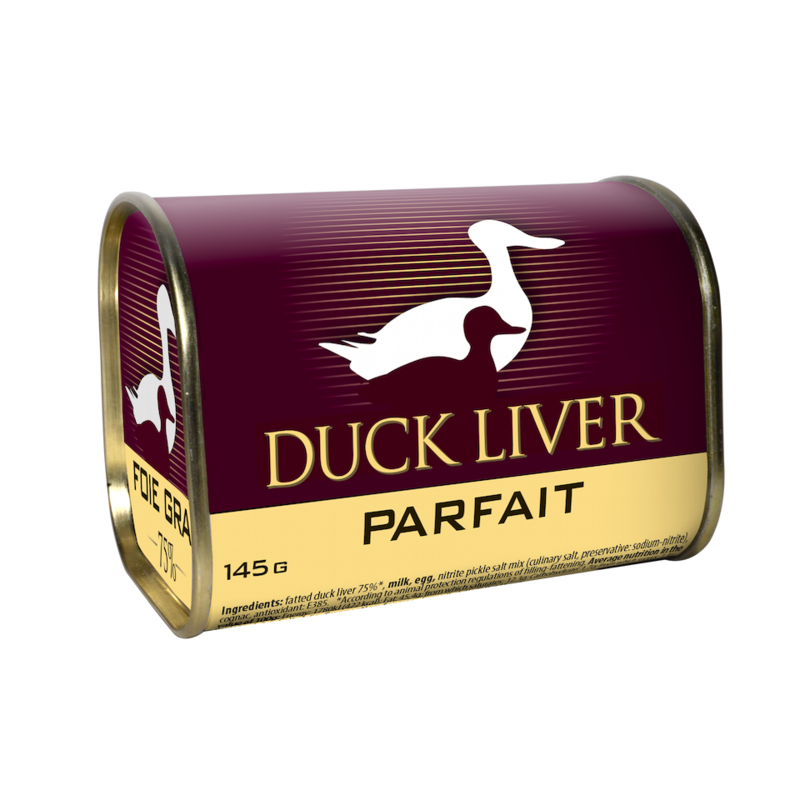 ﻿ Duck Liver Parfait 145g - Szegedi Paprika Zrt. Consumption recommendation: put the chilled can into warm water for 2-3 seconds. After opening you can slice the product by slipping out. Fatted duck liver 75%*, milk, egg, nitrite pickle salt mix (culinary salt, preservative: sodium-nitrit), cognac, antioxidant: E385. *Nutrition data can be naturally unequable and are only indicative information.